The "Other Music" documentary makes its world premiere at the 2019 Tribeca Film Festival. And tickets for screenings at the Village East, Second Avenue at 12th Street, and Regal Cinemas Battery Park, go on sale this morning at 11 via this link. The film chronicles the 20-year history and legacy of Other Music, 15 E. Fourth St. between Lafayette and Broadway, its influence on music in New York City and its closure in June 2016. 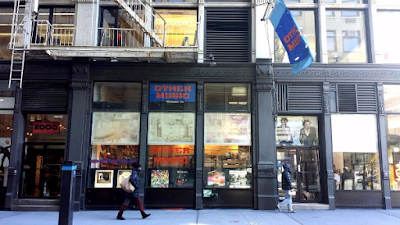 Other Music's owners cited rising rents and the growing hardship of selling music out of a physical store as reasons behind the closure. My old clubhouse. Good old OM. Now it's a coconut place.